Amazon is constantly adding new tricks for an improved shopping experience Secrets Of The Amazon: 7 Useful Amazon Tips & Tricks Secrets Of The Amazon: 7 Useful Amazon Tips & Tricks Amazon is, without a doubt, one of the best and most popular places to shop online. It’s got there due to awesome features like Amazon Prime, Super Saver Shipping, the Wish List browser extension, the... Read More , and this latest one involved the Amazon Echo. For those who don’t know, the Amazon Echo is a voice-controlled personal assistant Amazon Echo vs. Dot vs. Tap: What Are the Key Differences? Amazon Echo vs. Dot vs. Tap: What Are the Key Differences? One common complaint against Amazon Echo was that it had too many features and cost too much. Amazon's response to that? Releasing two variations with smaller price tags: the Tap and the Echo Dot. Read More . So what did Amazon add? All you have to do is ask, “Alexa, where’s my stuff?” (or plainly say, “Track my package.”) and the Echo will respond with the status of your current orders. This works because the Echo is tied to your Amazon account, so it always has up-to-date information. If you’re taking advantage of Amazon Prime 10 Awesome Amazon Prime Benefits You May Have Overlooked 10 Awesome Amazon Prime Benefits You May Have Overlooked Free two-day shipping is just the beginning. Here are some notable Amazon Prime subscription benefits you may not know about. Read More , you can now order items and check the status of packages with just your voice. And all of this is in addition to the extra benefits you get with Prime, like the amazing TV shows and movies 10+ TV Shows That Make Amazon Prime Worth the Money 10+ TV Shows That Make Amazon Prime Worth the Money Netflix is undoubtedly the king of the movie and TV show streaming services. However, Amazon Prime has some fantastic television shows that make it worth the asking price. Read More that you can stream. The Echo is truly useful. 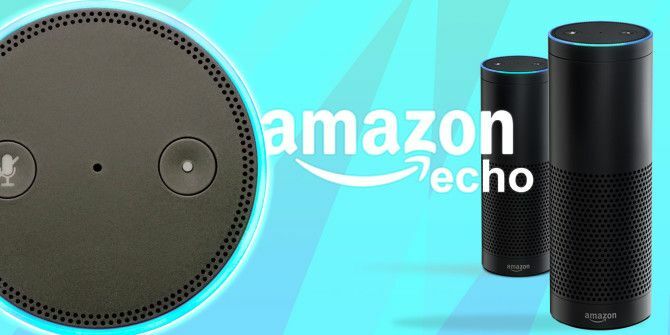 We’ve explored all kinds of creative ways to use the Echo 7 Creative Uses for Amazon Echo and Alexa 7 Creative Uses for Amazon Echo and Alexa You’ve seen the ads starring Alec Baldwin, but you're still not sure what Amazon Echo does or whether you need one in your home. We’re about to find out. Read More to your benefit, including the ability to voice-control aspects of your home 7 Ways to Control Your Home Using Voice Commands 7 Ways to Control Your Home Using Voice Commands One of the coolest advancements in home automation is the growing integration of voice control with all kinds of smart devices. Read More . It even makes for a great gift for friends and family 9 Impressive Home Automation Gadgets Family & Friends Will Love 9 Impressive Home Automation Gadgets Family & Friends Will Love With the holidays just around the corner, now is the perfect time to snag one of these amazing smart home devices. Read More . Do you think this new feature is useful? Or would you rather track your packages by email or mobile notifications? Let us know in the comments! Explore more about: Amazon Echo, Amazon Prime, Online Shopping. Here's a thought...why doesn't your Amazon Echo interact with a delivery driver or acknowledge over WiFi that they were at your front door and delivered your package as a lot of packages seem to get stolen.